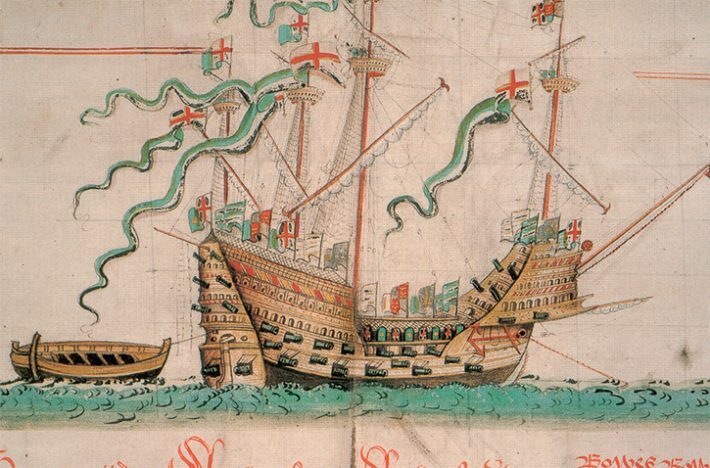 The Mary Rose sank 500 years ago. Students at University of Portsmouth made it sail again. Given that NewTek’s equipment has found its way into most media education facilities, last year the company decided to launch its inaugural UK Education awards. The competition was open to any kind of educational establishment – college, university, primary school, specialty training – as long as they were using NewTek gear. Owning the gear wasn’t a prerequisite for entry either. Institutions could hire a NewTek TriCaster or 3Play control surface for the duration of the submitted project. The University of Portsmouth’s digital media programme has been expanding in the past few years. That investment paid off with the University’s win for its live broadcast on the Mary Rose, Henry VIII’s prized warship, raised from the bottom of Portsmouth Harbour in 1982. The live broadcast, which was also streamed to the big outdoor screen in Portsmouth’s Guildhall Square, gave viewers access to previously unseen areas of Portsmouth’s Mary Rose Museum and artefacts from the famous sunken ship, as well as live expert interviews and exploration of the remains of the wreck. Portsmouth University’s broadcast programme already has a 24-hour broadcast under its belt and is looking toward new formats and new ways of challenging its students. They already shoot the university’s graduation ceremonies and university events, but they are now looking at a wider range of outside broadcast training with upcoming broadcasts from a local hospital, the “most haunted house in England” and Portsmouth Pier. The Portsmouth student channel is broadcast via IP throughout the campus and there is a fibre connection to the Guildhall Square screen, which shows a weekly broadcast from the university. As well as broadcasting live, content is available on demand through YouTube.